Unlike machines, humans make mistakes. And when buying a used industrial machinery, a bad choice can become quite sensitive, costly and damaging to your production. For instance, let’s say you need a new injection moulding machine as soon as possible, so you surf on the Internet, look at different websites, contact different sellers who seem reliable, you make the deal and the machine is delivered to your factory. Each purchase is crucial for your business and a lot of mistakes can be easily avoided. Let’s look at the 10 most common mistakes when buying used industrial machinery. In the first place, the most important thing to ask yourself is: what are your objectives? Like any investment, you expect a return on investment back. This can take the form of seeking a rise in productivity, taking the lead on your competitors, developing your business in the medium and long-term. You must have an investment plan that addresses both your short and long-term needs. They might not care about the cost of the machine you’re looking for but they will be more concerned about ease of use, skills required, maintenance, security and many other things you would not think of. It’s a chance for you to ask your operators and technicians their feedback and opinions. They will feel valued and you will avoid many unanswered questions when looking for your future machine. 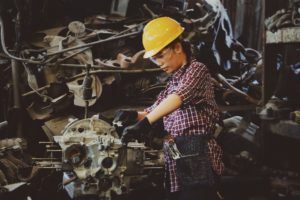 In a previous article, we gave “5 tips to sell your used machinery“, and using an online marketplace is one of the most effective solutions as well to buy a used industrial machinery. There, you can easily find the machine you are looking for or confirm the ones you don’t want to buy. It’s fast, free as at Exapro.com, and hundreds of sellers add their machines daily. You can also subscribe to specialized newsletters so that you stay up to date with the latest machines. So after using your management skills with your operators, you realize you’re not alone in this long and delicate process. You know the machine you need but you still have some worries and questions. The machine is situated in another country and the seller doesn’t speak your language. For example, at Exapro, we have passionate multi-lingual agents who take for you all inquiries, with technical skills, responsibility, and full transparency. This means you can look at worldwide sellers and the language barrier is not a problem anymore. A specialist can bring you more than you think and help you find the right machine you need. It’s easy to be intrigued by the secondary options of a machine. 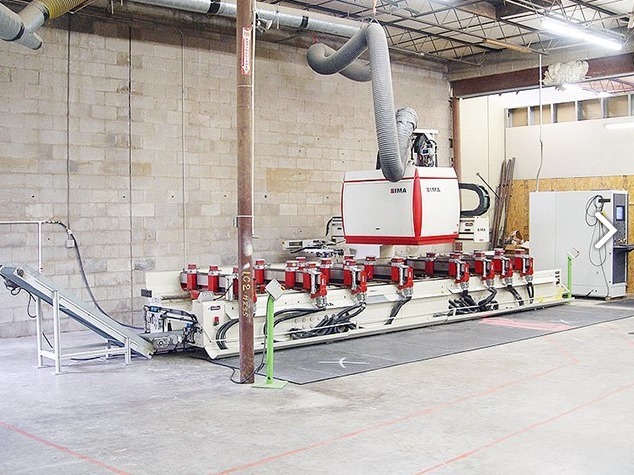 Looking at the different machine offers available on the market, you will probably see some with options that are not necessarily useful for your operators and don’t match your business reality. You will forget the primary features of your machine and spend money unnecessarily. Be clear about what your machine needs to do for your business and your operators. Considering your operators is once again very important as you want to avoid the productivity drop when employees need time to get used to a new machine. You can buy a different but better used machine than the previous one but if you don’t block off time to train your employees, they might not run at capacity. Safety first. Each industry has its own requirements and you have to know them before buying any used industrial machinery. Like most things before buying, you naturally want to see them. You want to be sure everything is working perfectly. If you can’t move because of the distance, you can still achieve an online inspection. It’s a perfect way to view the machine without having to travel across the globe. At Exapro, we encourage sellers to provide pictures and videos of their used industrial machinery so buyers can get a better idea of the machine. Always trust websites known and used every day. You want to avoid a deal with a website which suddenly will disappear a week after your deal. Check the reviews on the web and how many machines the website has. This will be a good start to evaluate if it’s trustworthy. You’re not buying a price, you’re buying a machine that matches your needs. Sometimes it’s better to pay a higher price for a machine that matches your business plans and productivity goals than to limit your budget to cheap machines which will slow you down in the short term. Where to Find the 20 Best Used Machines?